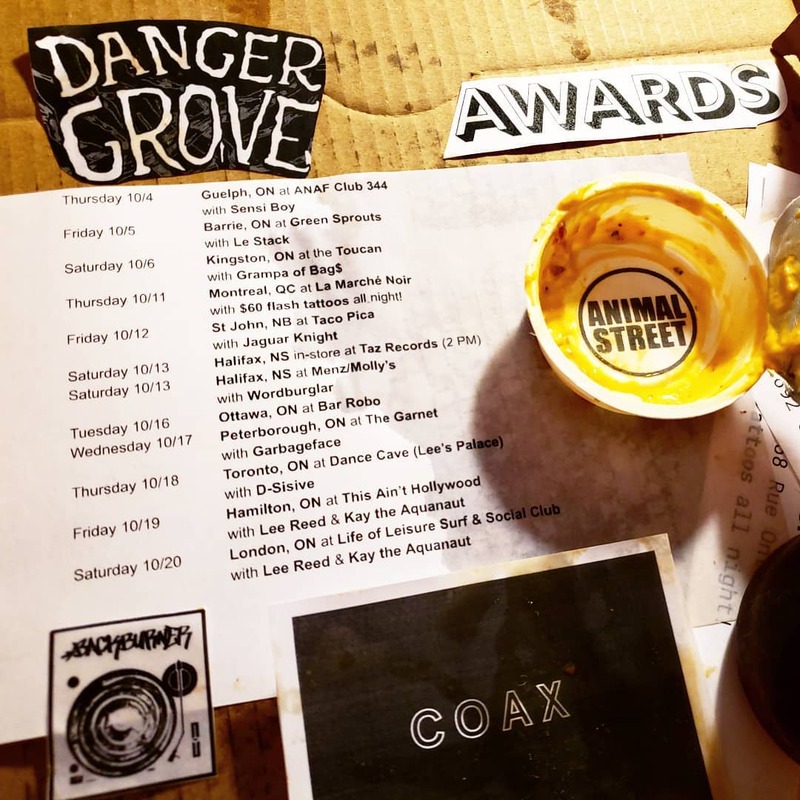 Danger Grove (Jesse Dangerously and Lizard Grove) and Awards (Thesis Sahib and Funken) are on tour in October, both groups celebrating the release of new albums. When these two awesome Backburner emcees come to your town alongside their prized production partners, break out your best gear and bring out your best buds for a raucous night of rapping about politics, mental health and the effects of technology over a merging of hip hop and electronic beats. I’ll be part of the crowd at my old 20-something hang out, The Dance Cave, where Danger Grove and Awards will also be joined by rap superstar D-Sisive… See you there?